Whatever your choice of door furniture, it’s fair to say that escutcheons are an excellent choice to spruce up your door furniture and serve a practical purpose too. The general term ‘escutcheon’ is actually used to describe a decorative plate for protection around a keyhole or door handle. As they are primarily used for decorative purposes, you can choose between contemporary or traditional styles from our selection to suit your taste. So to provide you with a little extra knowledge, here’s our short guide to escutcheons! 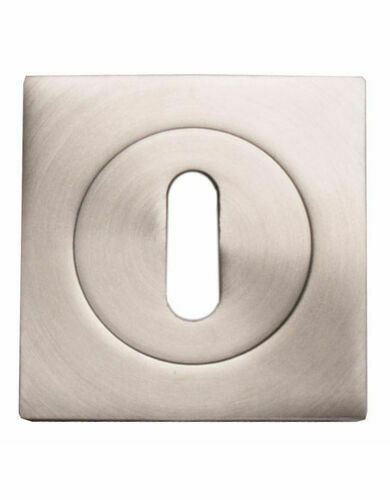 Often made of brass or stainless steel, escutcheons can either surround a keyhole or be incorporated into the top of the lid. Years ago, they were also personalised by engraving them with the owner’s names, crests or initials. The practical purpose of an escutcheon is to protect a lock cylinder from being drilled out and to protect the area from damage caused by the key when it misses the keyhole. Some come with a rotating cover to prevent prying eyes and also to prevent insects and dust from coming inside. Simple and stylish, our range of contemporary escutcheons and keyhole covers bring a sense of modernity to your home. This includes a variety of designs including lead free pewter and other finishes. For those who prefer a more traditional appearance, our selection of traditional escutcheons and keyhole covers provide the accessories you need. Many of these designs include a rotating cover and offer a more antique appearance. Whatever style best suits your home, we’ve got a range of designs to suit every preference. 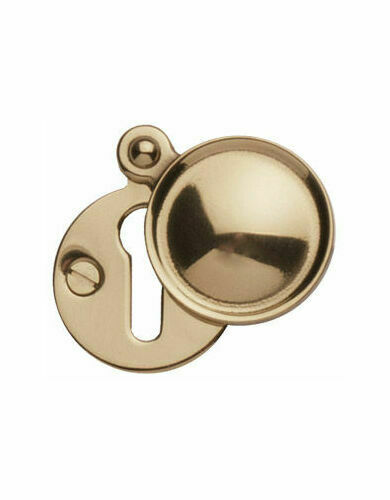 Please click here to see all of our escutcheons.